Moonshine, also known as white whiskey, takes the place of Bourbon in this summery interpretation of a julep. The crisp flavor of this clear spirit finds a tangy counterpoint in macerated strawberries, sweeter and juicier than berries used fresh. 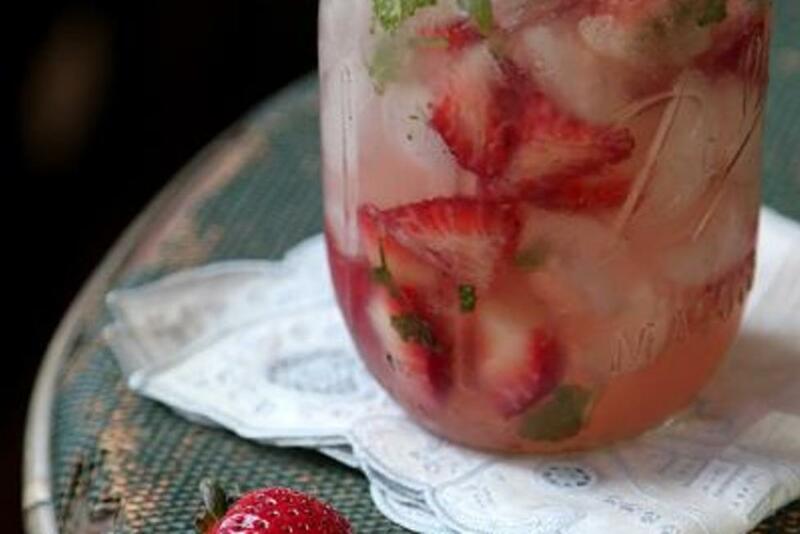 Served in mason jars, they&apos;re an ideal afternoon tipple. Combine cut strawberries, sugar, mint leaves in a cocktail shaker. Stir and let stand until strawberries are macerated, up to 10 minutes. Add moonshine, lemon juice, and ice to fill the shaker, and shake vigorously for an additional minute. Pour out contents into mason jars, adding more ice as needed. Garnish with a sprig of mint.